Charlottetown (P.E.I) – The popular button event, “Cute as a …” is returning to the Confederation Centre Art Gallery on March 9 at 7 p.m. Come see the 2018 collection, featuring original, jury-selected designs by 20 local artists. It’s free admission for the event, and button packs are available to buy on the night to trade throughout the evening, with proceeds from the event going directly into more public art programming at the Gallery. A jury of five artists, curators, and designers chose 20 button designs from 56 entries. The selected designs range from children’s drawings to the works of well-established artists. “Cute as a…” is a great opportunity to network, visit the gallery, and walk away with your own selection of 1 ¼- inch wearable artwork. 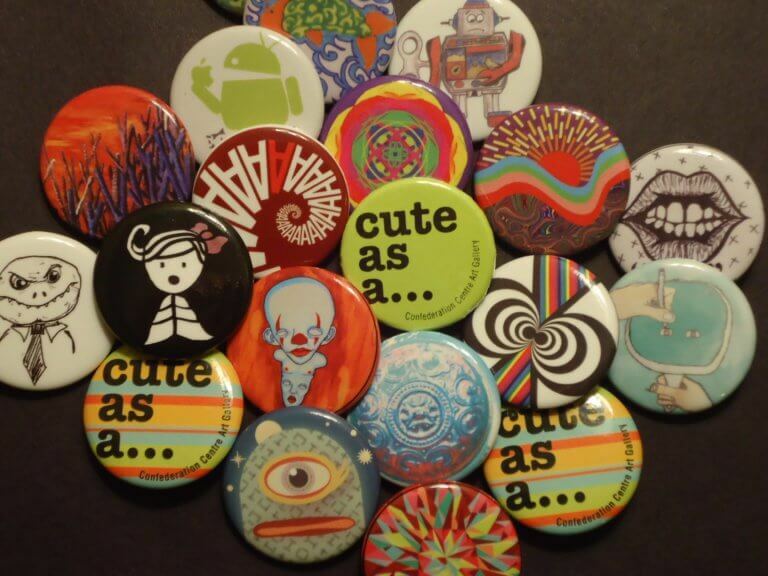 The button showing and swapping will take place from 7 p.m. to 8:30 p.m.
Photo cutline: The popular button event, “Cute as a …” is returning to the Confederation Centre Art Gallery on March 9 @7 p.m.